South of the town of Nordeste. On the eastern end of São Miguel island in the Azores. 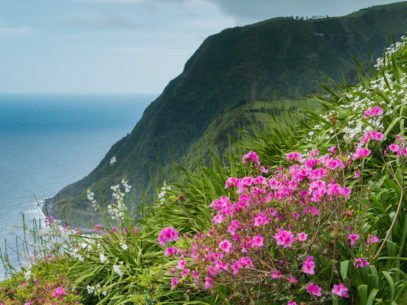 The green mountains and bright flowers of the Azores meet the Atlantic Ocean.